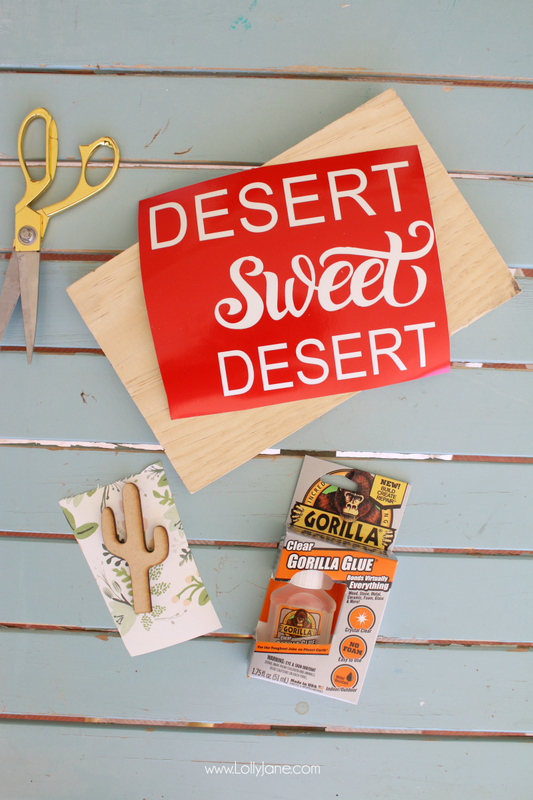 This is a sponsored about post about a DIY cactus wood cutout sign, and is written by me on behalf of The Gorilla Glue Company . All opinions are 100% mine. 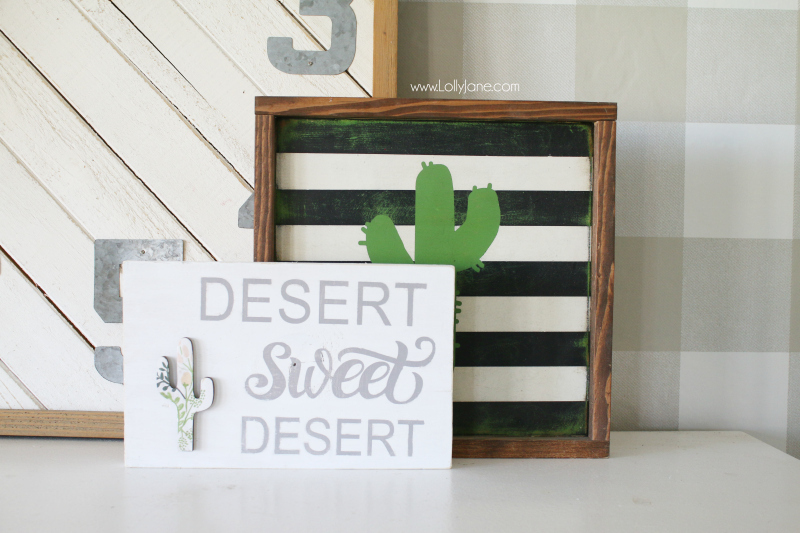 How to make a desert sweet desert wood sign. 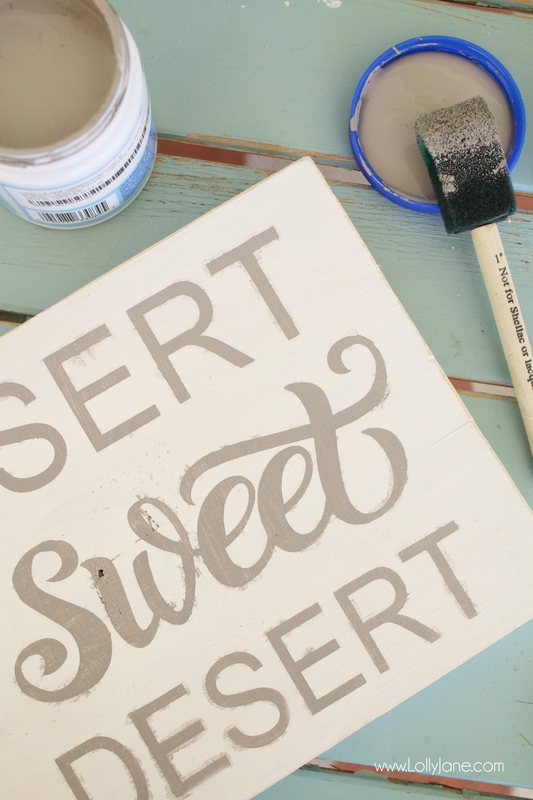 See how easy it is to make a wood sign tutorial! 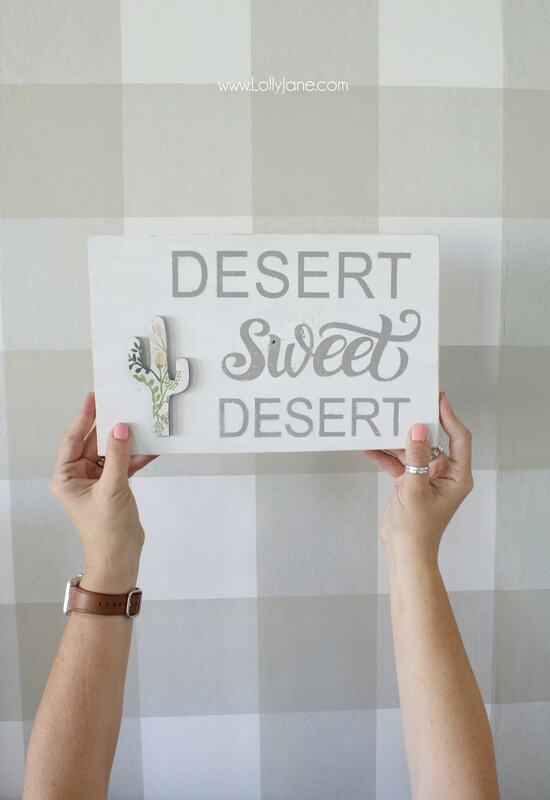 The added strength from Clear Gorilla Glue® was the perfect solution to adhere this floral wood cactus cutout to this easy to make sign! 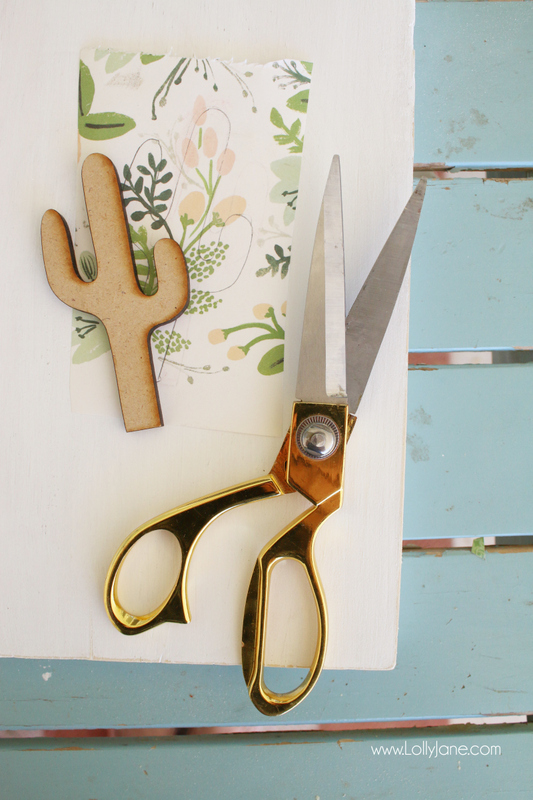 Supplies to make a DIY cactus wood cutout sign. Clear Gorilla Glue is incredibly strong and is ideal for indoor and outdoor applications and bonds virtually everything. 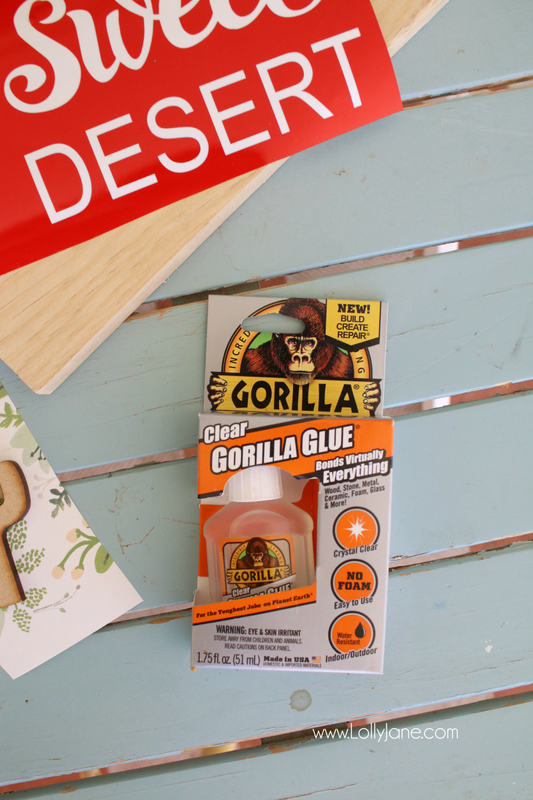 Clear Gorilla Glue doesn’t foam or expand as it cures, making it great for small projects. 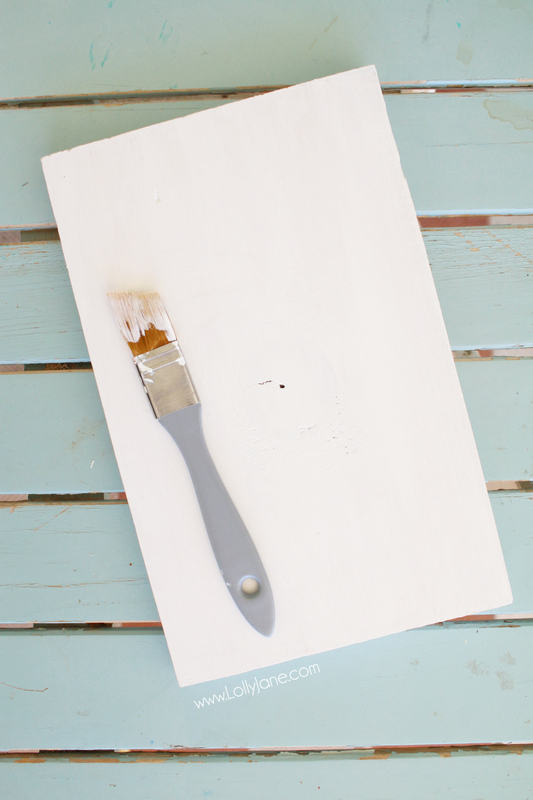 How to frame a canvas. I Love You Wood Block Sign. 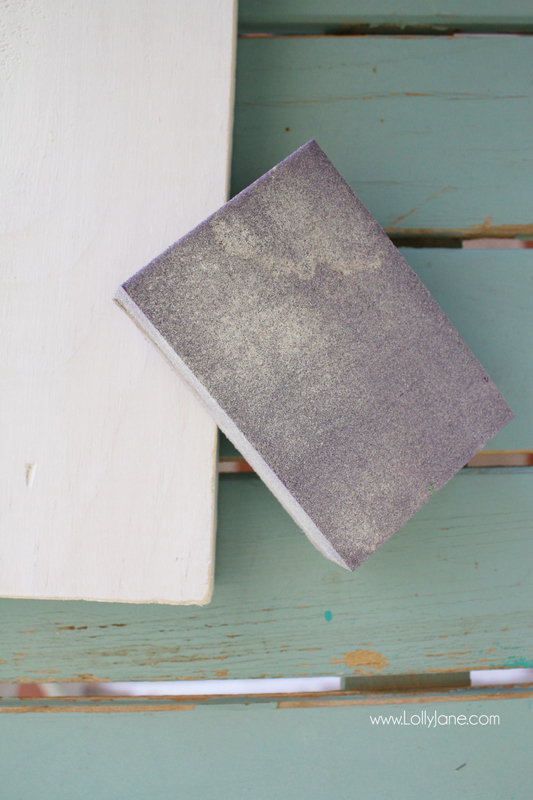 How to Weather Wood by Layering Paint. 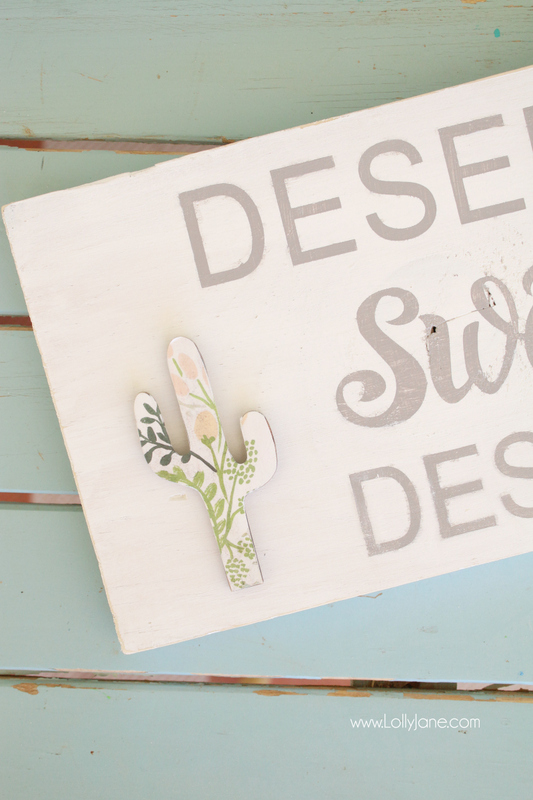 How to make a DIY cactus wood cutout sign. When dry, lightly sand the top and edges. 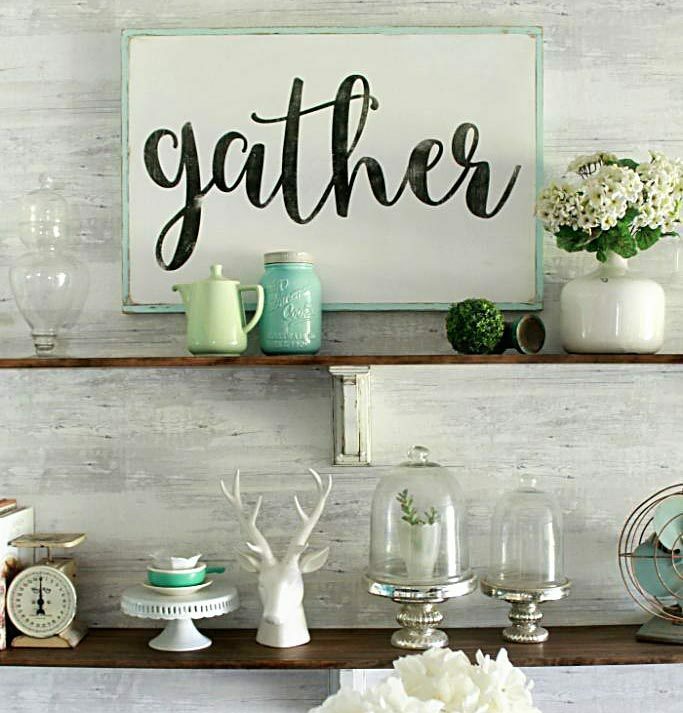 This creates an aged, worn feel for your wood sign. 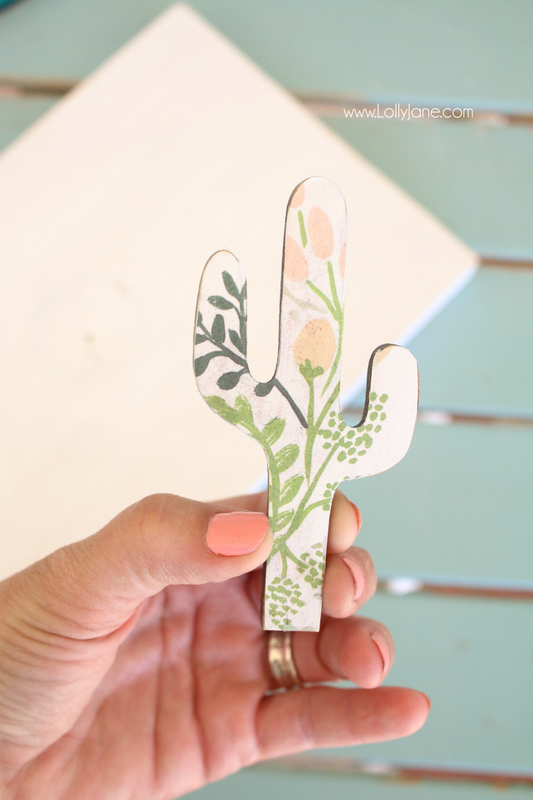 Trace your cactus wood cutout onto floral paper. Cut out. 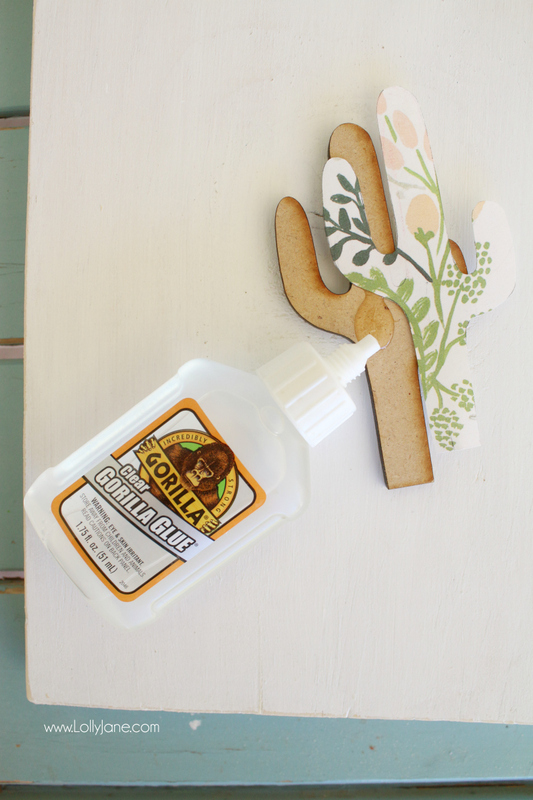 Use Clear Gorilla Glue® to adhere paper to wood. 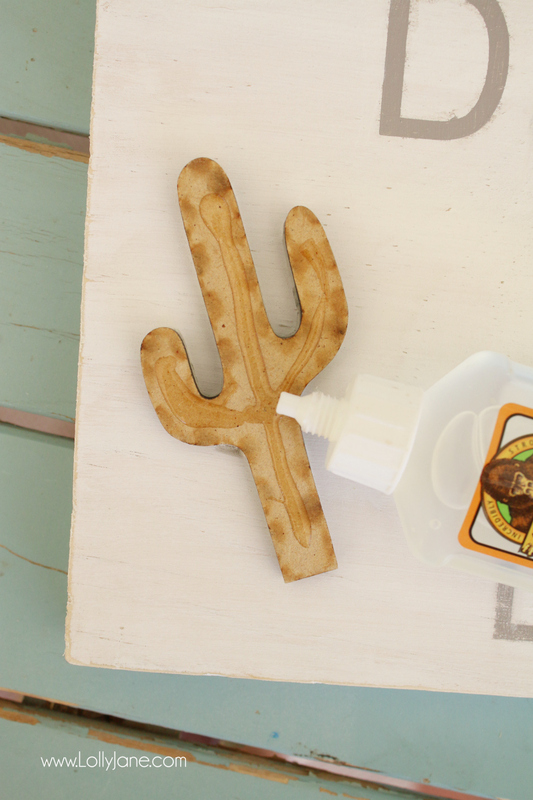 It dries in minutes so you don’t have to slow down! Lightly sand paper edges down to match the aged look of the sign. Paint inside your stencil gray. Let dry. Sand when dry to encourage distressed look. What would yours say? 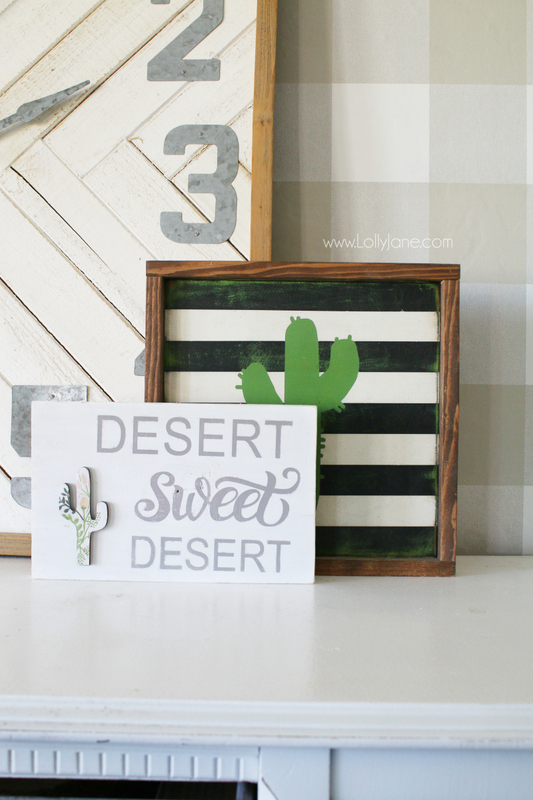 Are you a desert dweller, as well? How about scoring a $250 Visa Gift Card? We know we’d love it! Enjoy this Visa Gift Card giveaway and good luck!